At first I was confused by the setup of this book. The author, Alexandria, was a law intern working on a case of a convicted child molester and murderer, when it suddenly turned and became personal. And short of discovering that the child in question (or the criminal) was related to her, I didn't understand. But now I do. See, Alexandria was molested by her grandfather, frequently and regularly throughout her childhood. He did this to her sisters as well. Her grandmother surely knew and turned a blind eye. And she told her parents at one point, who did change a lot of things and the abuse stopped, but never confronted him. 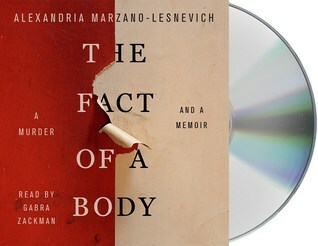 When Alexandria, as a young adult, started working on this case, an appeal no less, the similarities between what this criminal did, and what her own grandfather did to her, short of murder, were eerie, and she had trouble coping with it, although she also had trouble keeping distance. It turns out that she was the perfect person to be on this case because she became obsessed and found out everything possible there was to know, but at the same time, she was completely, 100% on the side of the victim. But she really could see both sides of the story. And she hoped in understanding this case, she could help to understand her own family and her own trauma. I don't want to give too much away. It was pretty riveting. It's true crime, but not the ripped-from-the-headlines kind. This was not a famous case at all, but instead is illustrative of all the ordinary cases of abuse and murder that happen every day, in every part of the country. And the all-too ordinary cases like her grandfather's which never become court cases at all, as they are never found out, never prosecuted. Sexual abuse and assault is luckily becoming less tolerable in this country, which makes this book well-timed. As celebrities come out about the inappropriate behavior of other celebrities and politicians, maybe the non-famous sexual assailants can be outed as well. This book is published by Macmillan, my employer, and I got the audiobook free from work.